Perfect for smaller wedding parties and those who prefer more intimate surroundings, host your civil ceremony in this cozy suite of rooms with beautiful beamed ceilings. 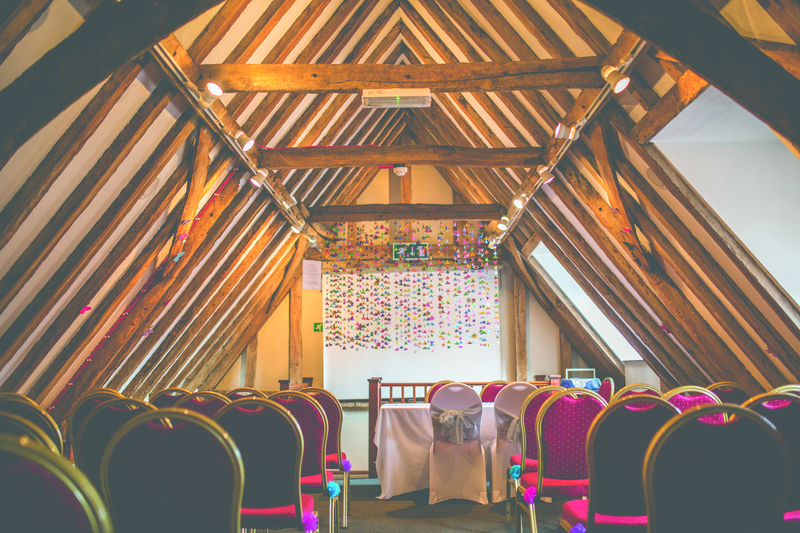 Fully licensed for the Solemnization of Marriage and Civil Ceremonies, the Oak Rooms have a dividing door which can make the space smaller, either seating 70 or 30 guests. Only a three-minute walk from Applewood Hall, the Oak Rooms are located in the Appleyard Courtyard next to a grassy meadow that can be used for photos and right next to the Banham Barrel pub, perfect should the Groom need a drink to settle his nerves beforehand! 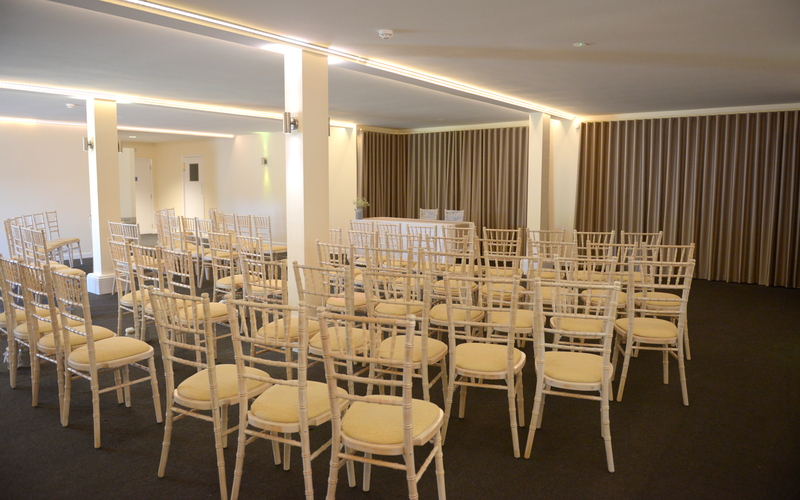 Adjoining Applewood Hall and with natural daylight, your own private garden and space to seat up to 90 guests, this elegant and versatile space provides the perfect setting to host your special ceremony. Newly refurbished with modern LED-colour changing lighting and neutral decor, this beautiful room can be easily dressed to match your chosen colour scheme, theme and style. 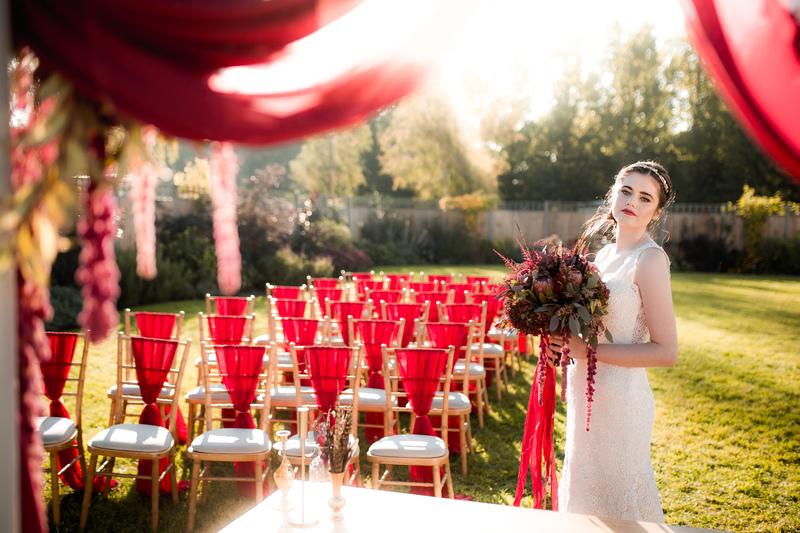 We can also hold outdoor ceremonies in our beautiful wedding garden. This is called a ‘duo’ ceremony, meaning couples exchange their vows beneath the arbour in our wedding garden, before heading indoors to the Orchard Room to complete the legal formalities. Please kindly note that booking the registrar is the responsibility of the bride and groom and will incur a separate registration fee payable directly to the registrar. It is now possible to book most ceremonies online via the Norfolk County Council website, a £100 deposit is due upon booking.